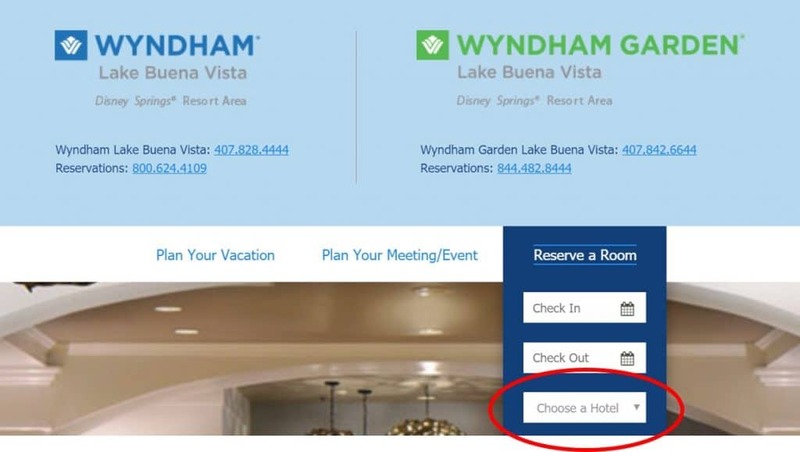 Guests at the Wyndham Lake Buena Vista and the Wyndham Garden Lake Buena Vista, like those at the other six hotels in the Disney Springs Resort Area, became eligible for FastPass+ at 60 days and Extra Magic Hours—the two most valued Disney World perks—in 2018, eligibility that will extend at least until 12/31/2019. Rooms in the mid-rise tower, “Wyndham” rooms, are entered from a hall, have an undivided bath, and offer two queen beds or a king bed. Rooms in the two low rise buildings on either side of the tower–“Wyndham Garden” rooms–are entered from an outdoor corridor, have a divided bath, and offer two full beds or a king bed. In the rest of this review, I will refer to the whole thingy as the “Wyndham,” unless I am making distinctions about accommodation types. 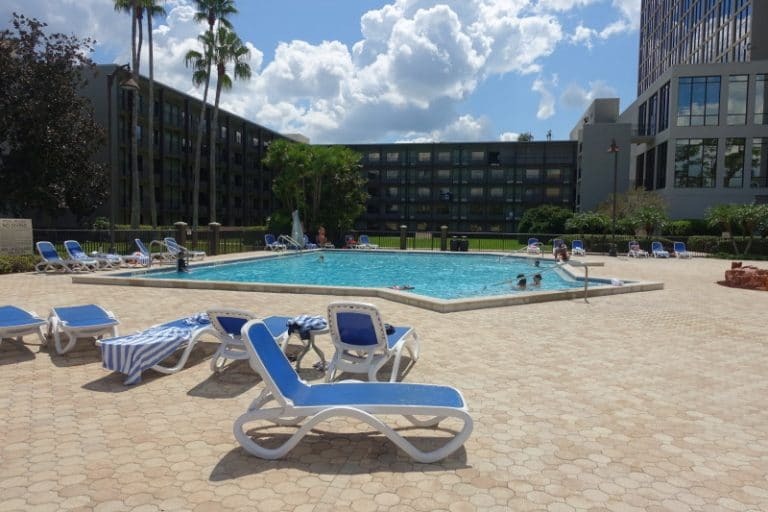 The best features of the Wyndham are its amenities, particularly its pool complex, how close it is to Disney Springs (it is basically tied with the Hilton and the Hilton Buena Vista Palace for being the closest of these seven hotels to Disney Springs), and the price/value equation for those booking Wyndham Garden rooms, who get four-star amenities at a three star price. Weaknesses include un-divided baths in tower Wyndham rooms, full beds in the Wyndham Garden rooms, no absence of balconies, and so-so dining. 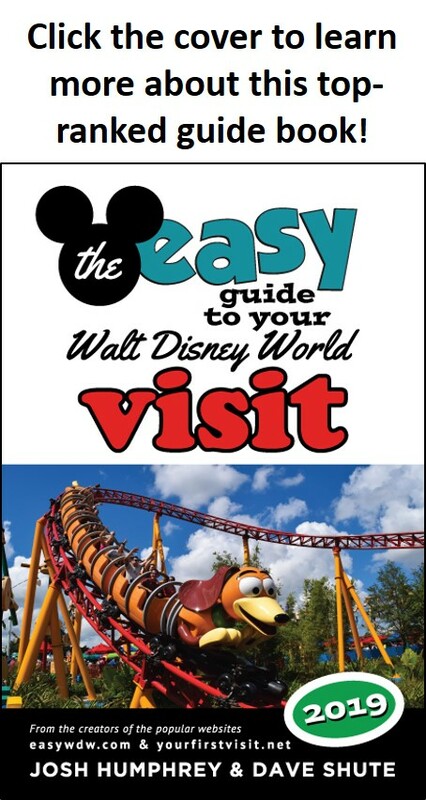 It shares with all the Disney Springs Resort Area hotels weak transportation. 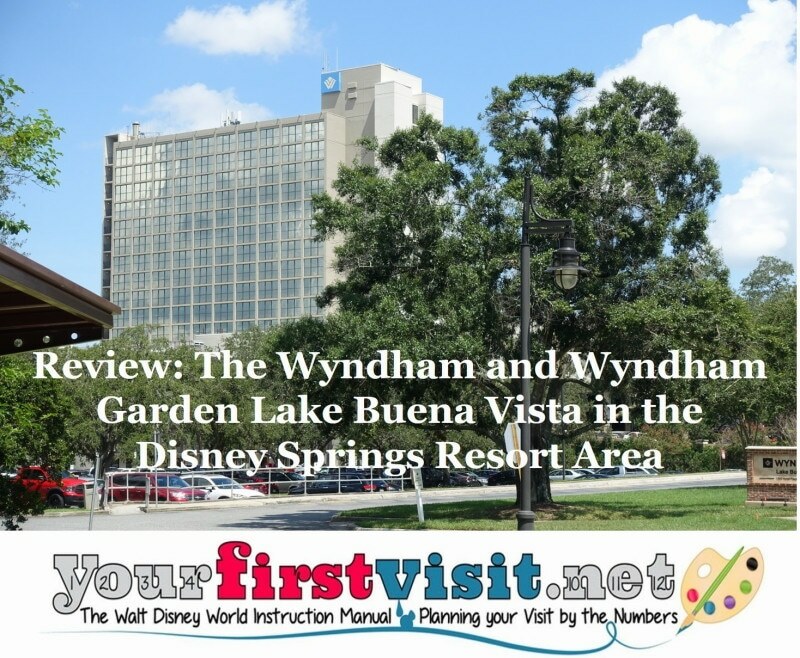 I’ve stayed at the Wyndham twice since guests at these hotels gained eligibility for FastPass+ at 60 days and EMH, and I consider it one of the top three Disney Springs Resort Area options (the other two are the Hilton and the Hilton Buena Vista Palace). The Wyndham has two types of accommodations buildings: a mid rise tower, and low rise Garden wings, with distinct rooms in each. The rooms are so distinct that when you try to book a room, you have to choose a hotel first–either the Wyndham, or the Wyndham Garden. Wyndham accommodations. Wyndham rooms are in the central mid-rise tower (an image of the tower is near the top of this page). Standard Wyndham tower rooms are entered from an interior corridor, and offer two queen beds or a king bed. The bath has all the basics, but is not divided, making it less family friendly. Views are fine, but no Wyndham rooms have balconies. These rooms do have a couple of ottomans nestled under the dresser, adding some seating flexibility (the only other seat is a desk chair). 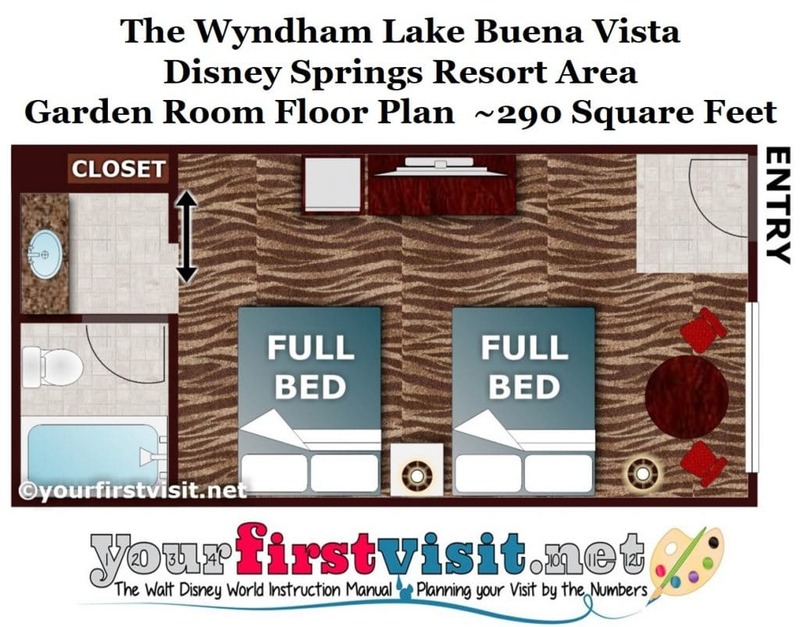 At 325 square feet, these Wyndham rooms are smaller than the smallest Disney World deluxe rooms, but the small bath area results in a 240 square foot living area, as large or larger than you’ll find in the Disney deluxes except those along the monorail. But the absence of a divided bath and an easy chair makes it hard for me to recommend this room for any but the smallest families–although the ottomans do help. Wyndham Garden accommodations. Wyndham Garden rooms are in two separate low-rise wings, one on either side of the tower. Standard Wyndham Garden rooms are entered from an exterior corridor, and offer two full beds or a king bed. 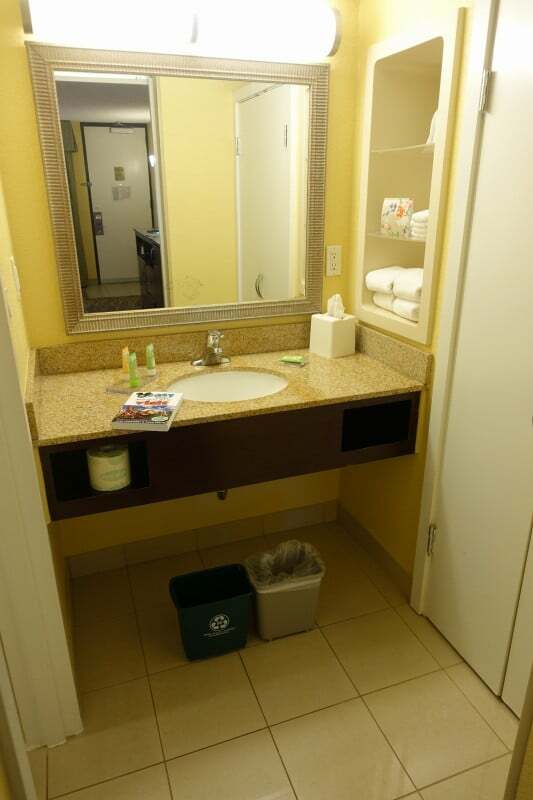 Unlike Wyndham rooms, Wyndham Garden rooms offer a table and chairs, and also a divided bath–making the space overall much more family friendly. At ~290 square feet, these rooms are larger than standard rooms in Disney’s value resorts, but smaller than those in its moderate resorts. Bath sizes are comparable to those at the values, and the living area is about 30 square feet larger than the values, and 15 square feet smaller than the moderates. 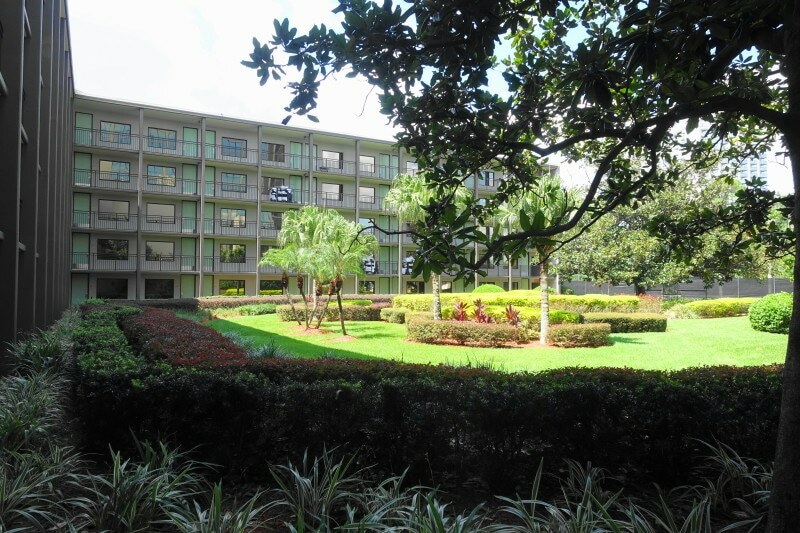 All in–excepting the full beds, which are being replaced with queens at the values (Pop Century is done, and All-Star Movies about half done)–these Wyndham Garden rooms are more livable than Disney’s value resorts, and a step below accommodations in its moderates. 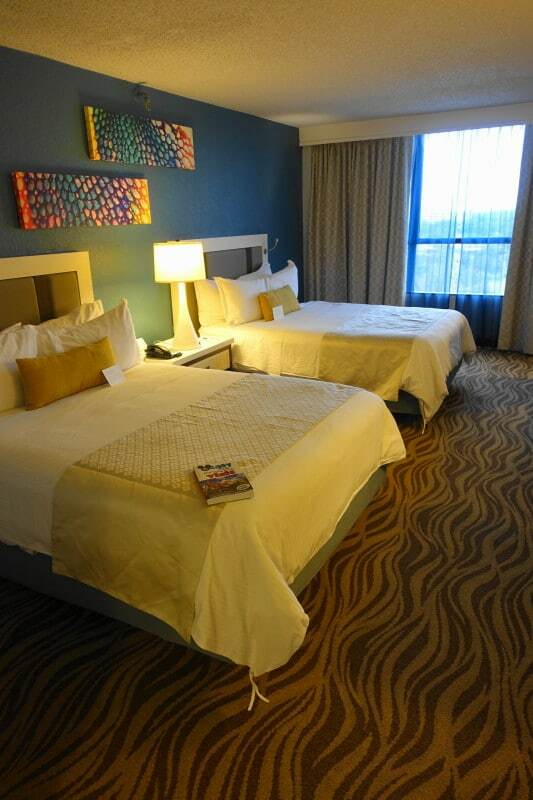 A photo tour of a two full bed Wyndham Garden room is here. 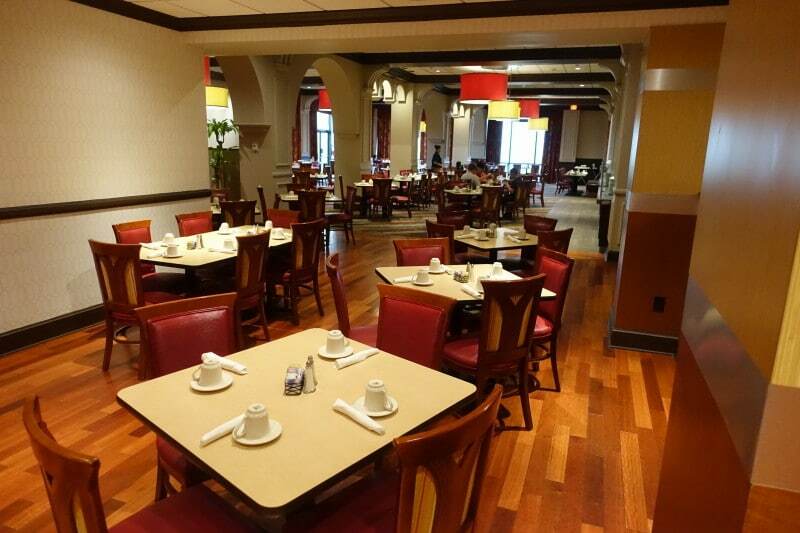 The principal dining venue at the Wyndham is the Lakeview Restaurant on the floor above the lobby, serving a breakfast buffet, and also dinner. Lakeview also offers character meals at a buffet breakfast Tuesdays, Thursdays and Saturdays. Off the lobby is a bar that also serves the Lakeview menu, and an extensive shop offering snacks, drinks, and grab and go items. There’s also a Disney gift shop offering souvenirs, park tickets and such off the lobby. The pool bar also offers an extensive menu. I haven’t eaten enough at the Wyndham have a firm opinion, but was a bit disappointed by what I did experience. 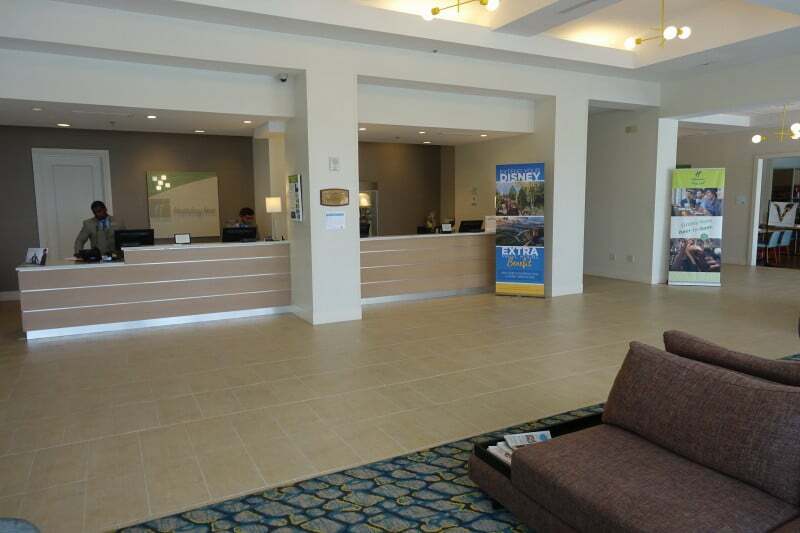 There’s more on dining and the other amenities at the Wyndham here. 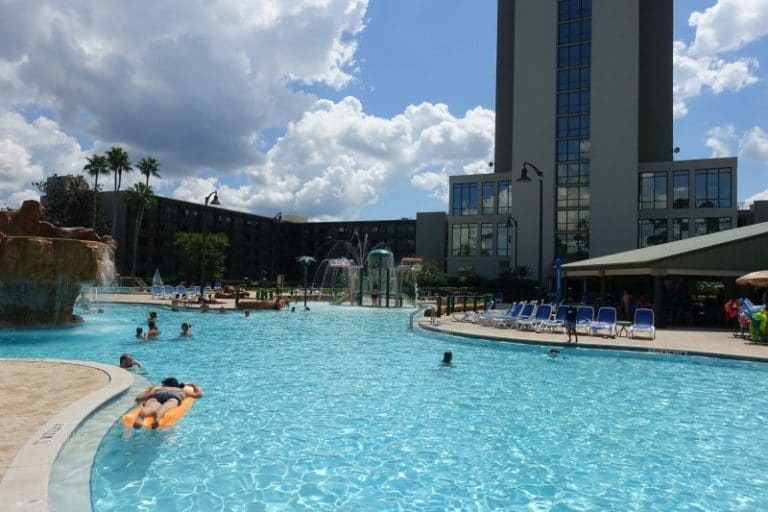 The Wyndham’s pool complex is one of its best features, and almost by itself puts the Wyndham among the top three Disney Springs Resort Area hotels (the other two in the top three are the Hilton and the Hilton Buena Vista Palace). It features two principal pools plus a hot tub, and a nice bar and grill. One of the pools is simpler, and thus tends to attract adults. The other has a large rock with water sprays, and also a more structured play area. 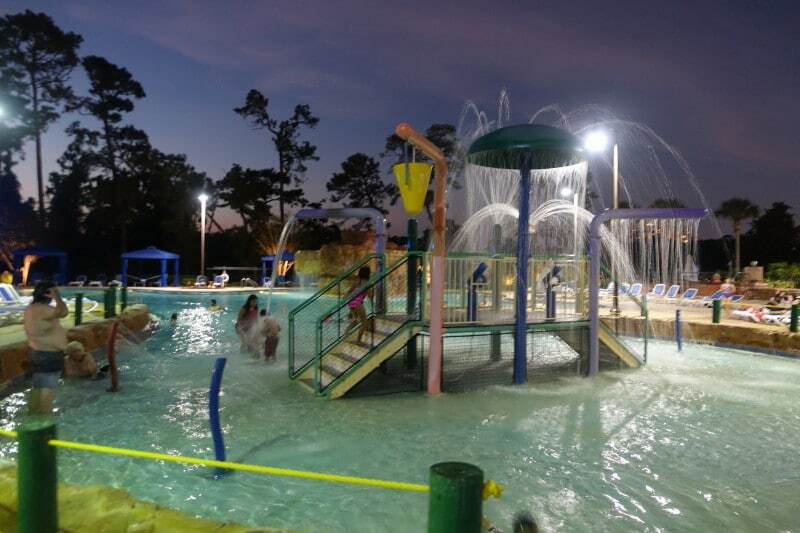 The play area at night. For more on the pools at the Wyndham, see this. The Wyndham participates in a transportation program sponsored by all the Disney Springs Resort Area hotels. One group of buses serves the Best Western, Wyndham, and Hilton Buena Vista Palace, and another the other four hotels here. Having your own car or a rental is a much better option. Self-parking at the Wyndham (for either room type) is $15/night and valet parking is $20/night. Parking at the theme parks is $25/day. Pricing at the Disney Springs Resort Hotels is much less visible than that at the Disney-owned resorts, and multiple prices for the same room e.g. for non-refundable stays, stays by folk with AAA, etc. are common. Discounts and deals are also routine, and these hotels commonly show up on the various hotel deal sites. The Wyndham resort fee for either room type is (after tax) $28.12 per night–in the middle range among the Disney Springs Resort Area fees. Prices for Wyndham Garden rooms at the Wyndham (before any discounts you might find, but including resort fees and taxes) are generally among the lowest among the seven Disney Springs Resort Area hotels, and are typically about five to ten percent more than what you would pay for a Disney-owned value resort. Prices for tower rooms at the Wyndham are much higher, typically a bit more expensive than what you would pay for a Disney-owned moderate resort. 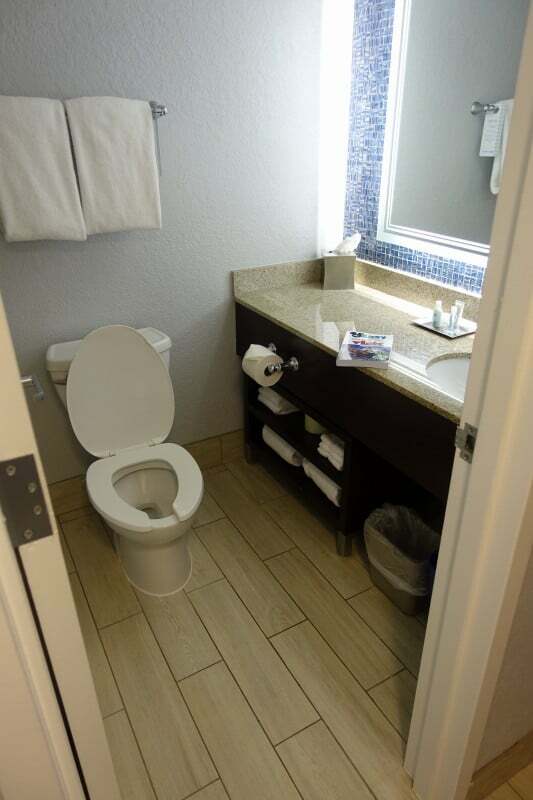 For families on a tight budget who can fit into full beds, the nice amenities here make Wyndham Garden Rooms a reasonable alternative to Disney value resorts. 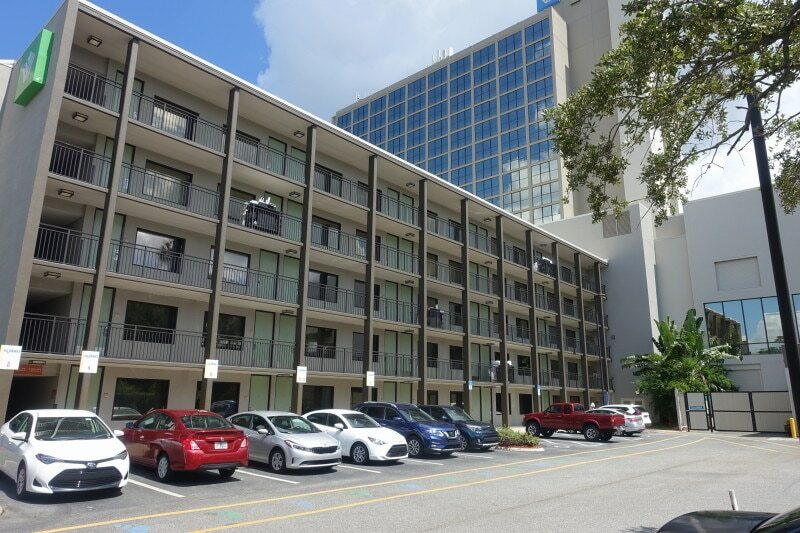 The value of the Wyndham rooms, which are much more expensive, is a little less clear cut, but if you can get them on a deal they may represent a reasonable alternative to Disney moderates. Transportation will be an issue in either offering. 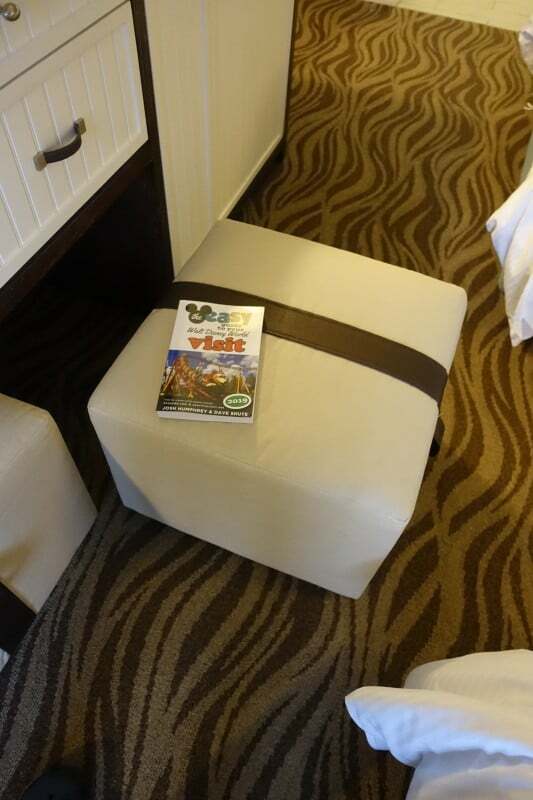 Kelly, the long-time travel agent partner of this site, can book your Disney World vacation at either Wyndham offering–or at any other Disney World hotel! Contact here using the form below.